Spotlight a great designer relocated to Miami from London! What a pleasure to understand the meaning of WELCOME TO MIAMI! Thank you to Voyage MIA for covering the story behind KNOF design. Link to full article above. Susan, please share your story with us. How did you get to where you are today? The path of where I have gotten to today is the story of a true journey! One that started in New York City and has taken me to Dubai, London, Baku, Bali, Moscow, Milan, Lisbon, Luanda, Sofia, and beyond. The holidays are a magical time of both theatre and introspection. There is the hustle and bustle of organization and anticipation, the flamboyant celebrations and the cosy retreat from the world to be with those you love . By decorating your home you can conjure up a mood of celebration and joy, familiarity and timelessness. In my design I love to bring in elements of nature and one-of-a-kind vintage items, both of which marry perfectly with the holiday theme. With this in mind, I’d like to share my five golden rules of decorating for the holidays! Selenite Votive Holders from ZGallerie.com. Creating a sense of peace and calm before the celebrations is a good place to start. A regular shifting of the home environment always creates a nice energy and movement, especially as we get ready to welcome in a new year. This is the perfect time to get rid of anything that’s not working for you anymore so that festive adornments add to the ambiance rather than create clutter. Sometimes less is more. To avoid a cluttered, over-busy look, take a bookcase or a shelf, clear it of its everyday items and then turn it into a display of all your most treasured festive items — candles, vases, lights, ornaments, bowls filled with fruit or sweets, garlands and photographs —or perhaps a stunning new piece. Choose those new items you will treasure year round, not just in the holiday. Perhaps they can be placed elsewhere in the house, or put to a different use, throughout the year. The holidays are a time of both nostalgia and new beginnings. Choose dark, moody, deep colors for introspection and reflection, and bright, dazzling whites, neutrals, and silvers to look to the future. I love plenty of natural light and calming colors that will transform your home into a peaceful haven in which to escape. Opt for fun, vibrant colors in kids or family rooms, and natural elegant and sophisticated colors for main living areas. Use nature to inspire you. The blue silver of snow or the warm ambers and russets of a roaring fire, pastel colors evoking winter sunrises, and the richness of red berries. It’s ultimately all about the sparkle for me. I particularly love a collection of antiqued mercury glass votives in varying shapes and sizes. At this time of year, we get to appreciate the full circle of the seasons, and feel a warm familiarity about the holidays coming round again. I am a real nature lover and I enjoy blurring the boundary between the outdoors and inside. There is no better time of year to play with the contrast between the cold, wintery outdoors and the warmth and comfort of home. 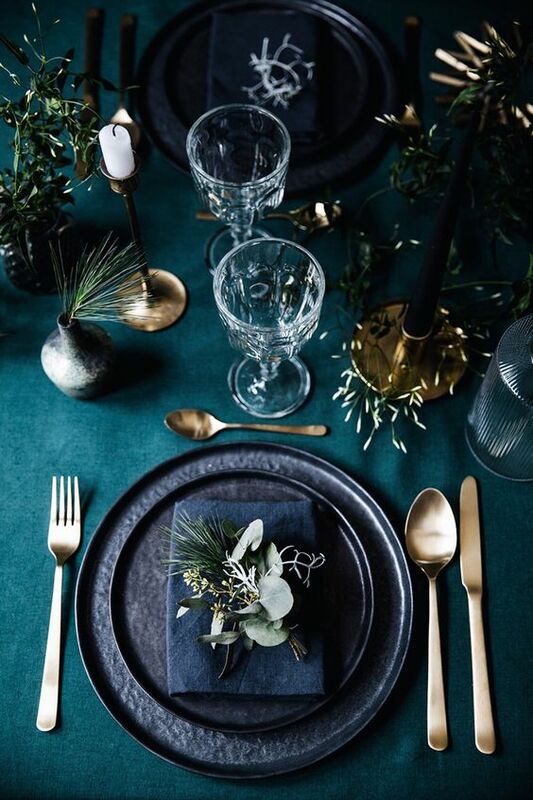 Introducing any kind of winter greenery is a perfect way to bring in an earthy, seasonal vibe. Introduce faux berries, lifelike flowers, feathery birds, garlands, spruce, birch twigs, and silver pine cones. I love to make a wreath with a beautiful, natural aroma each year — eucalyptus is my favourite! It’s a good excuse for a wander and a forage. If you aren’t the outdoorsy type, you can always buy a plain pine wreath from your local garden centre and pick up loose eucalyptus and other festive finds from a local florist. Keep it natural and a little wild, but maintain an element of restraint by popping items into a simple, clear vase. The holidays are a time of storytelling. Whether it’s ornaments from the past, vintage collectors’ items or cute fairytale characters, tradition has a strong impact at this time of year. You can pick up items such as vintage sleighs, ice skates, or sleigh bells, to place around your home. Photograph by English photographer Polly Wreford. Your own stories are as important as those found in books. I like to collect together some of my favorite ornaments from my travels and create a display. It’s a great way to recall all the journeys I’ve been on and it’s fun to reflect on shared travel memories. Once you get a sense of the feel of your decor, you can direct your attention to the flow. As you enter your home, what do you see first? From the entryway to the living space, from the tree to the dinner table, keep the story going and the theme consistent, but adapt it to each room’s color scheme and function. The holidays are a time for opening up your home to new friends as well as hunkering down with loved ones. Whether they evoke the silver shimmer of snowflakes or the golden warmth of champagne, welcoming lights are the linchpin of holiday decor. Externally, simple and elegant uplighting to highlight particular trees and the main entry can be stunning. Once enticed inside, ensure your guests are surrounded by soft and consistent lighting throughout the house. Add a sense of warmth and comfort with blankets and cushions piled onto fireside armchairs or in baskets or blanket boxes, allowing your guests to snuggle up when they are weary from the celebrations. The holidays can be a stressful time but decorating your home should be a creative joy! If you stick to the golden rules of keeping it simple, drawing on the beauty within nature and the magic of storytelling and making your loved ones as welcome and comfortable as possible, you will create a beautiful haven in which to enjoy this special time of the year! So pleased to be able to share an elegant beauty HOT OFF THE PRESS! Thank you, ELLE for featuring our latest property in your beautiful magazine. ELLE DECOR'S 30 Entryways with Dramatic Lighting to Give Your Guests a Warm Welcome! Q: While designing a living area which essential factors should be taken care? Susan: When designing a living area the essential factors I always consider relate to the natural elements. My number one priority is where is the light coming from? I am a total nature lover so I am always trying to create a layout that revolves around the view of the ever-changing outside world. I like to allow the light in and plan the arrangement around that. Another integral priority is the function. How will the space be used? Is it a place for a quiet retreat? Is it one to gather and entertain or is it a combination? In this case a casual and considered flexible environment is important. I love a place that encourages good flow. So I like to consider where the primary and secondary entrances are. Once the general layout and function is determined in comes the layers, the fun, and the style. that comprise the Houzz community from among more than one million active home building, home improvement and design industry professionals. SEEING THE LIGHT | Architecture as a means of healing. Every time I am in New York I like to come here for a moment of reflection. The World Trade Center Hub Oculus designed by Santiago Calatrava is a dynamic physical structure as a symbol of strength, healing, and growth from a place of pain. Santiago Calatrava has long been one of my favourite architects, better known for building bridges than buildings it is clear to see that he is a natural connector. In life we have a choice we can keep a wound alive or we can choose to grow from it, to build with new meaning, presence, and spirit. To me, this is such a dynamic and significant structure. Rather than allowing the site to remain empty as a representation of fear, terror, and pain, Calatrava has created a unique futuristic building symbolising hope, growth, and restored faith. It also connects. It is a main transportation hub connecting New York and New Jersey while also intentionally providing a spiritual connection to the heavens with a strategically aligned oculus. 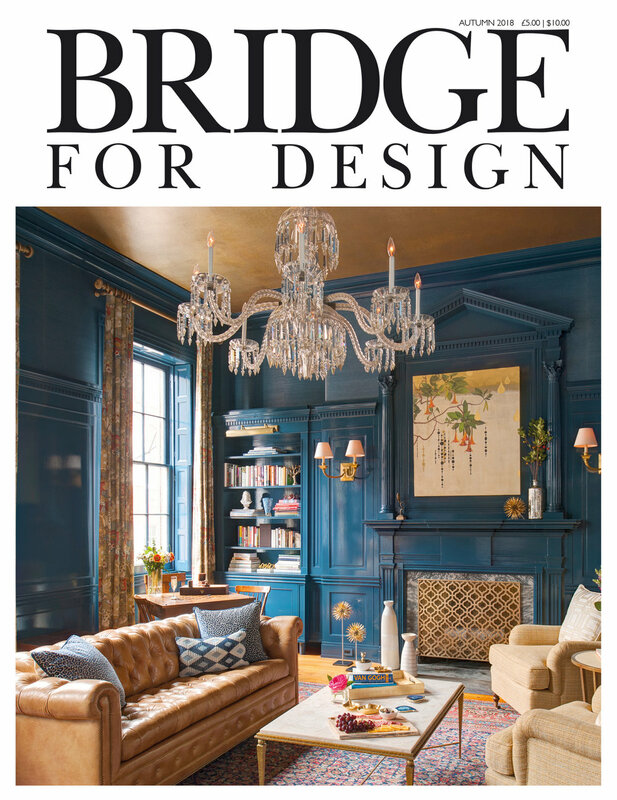 In: DESIGN magazine has taken a behind the scenes look at "A Week in the Life of Susan Knof'. Come have a read and see how our Creative Director gets inspired. The Interior Design Yearbook is specifically aimed at architects, interior designers, specifiers, contractors and key designers in the sector. The Interior Design Yearbook provides inspiring and original information on the trends of today and future innovations. It is a first class directory complimented by market predictions and expert analysis. This year Creative Director, Susan Knof, contributed to the Yearbook discussing International Design. 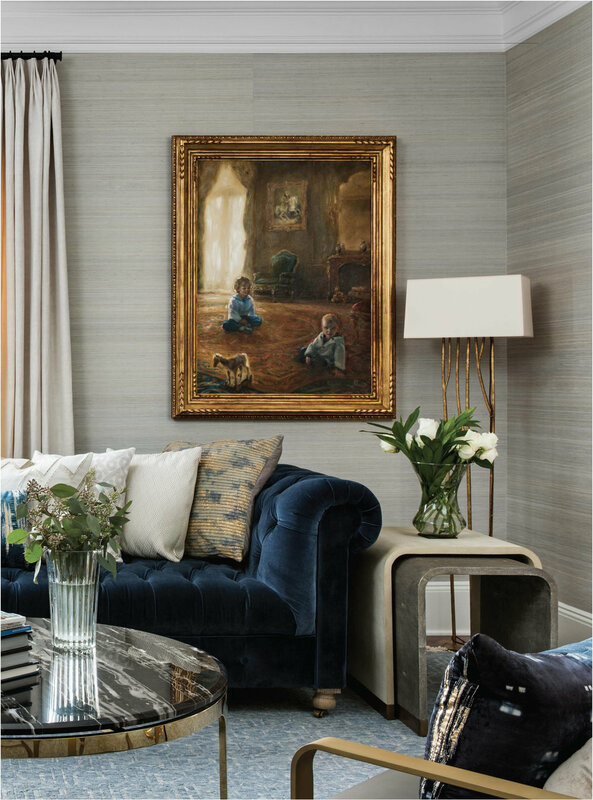 Contributing designers have previously included Giorgio Armani, Tara Bernerd and Anouska Hempel, whose experience and insight into the interior design industry have proved invaluable to designers and suppliers alike.